It’s spring, and chances are it’s beautiful outside! My two toddlers love to spend time outside together, so I’m always looking for new outdoor activities to keep them active and learning. 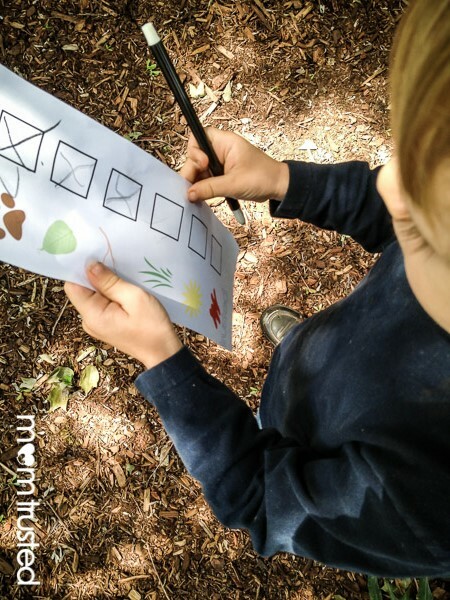 This week I decided to put together a nature walk/scavenger hunt so they could practice paying attention to their surroundings. My daughter is only two, so I kept it very simple; six basic shapes represented six items we were looking for. We did our hunt right in the backyard, but it would also work well for a walk around the block or a trip to the park. 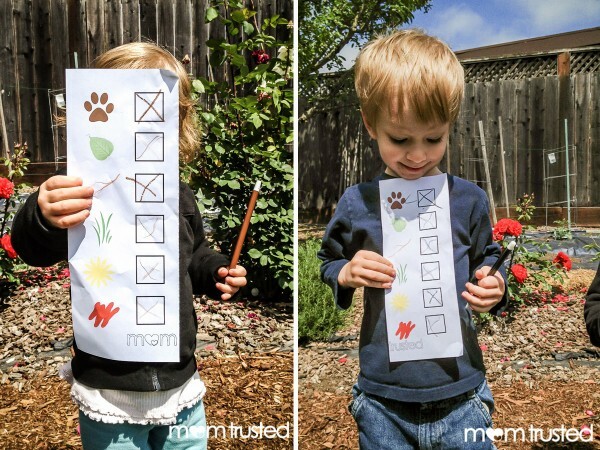 The items on the sheet are a dog (paw print), a leaf, a branch, grass, a yellow flower, and something red. This is a leave-it-as-you-find-it hunt, so nothing is collected; just mark things down as you see them. The kids loved this activity! When we had found everything on the list, they were both so proud of themselves, and wanted to know when we could do it again. Here’s a printable of our nature scavenger hunt checklist you can download to use on your own nature walk. You can also easily make your own list; just draw a few simple symbols on a piece of paper and go for a walk with your eyes open!